London based creative, Rob Crane has been in sleeve design since working as an in-hodesigner at Island Records in the 90s. Founder of Rob Crane Design, which has created some truly iconic and memorable record cover designs for some big names is music. 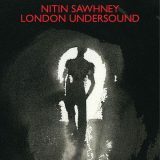 Inspiration from Antony Gormley’s drawings and paintings led Crane Design to produce Nitin Sawhney’s ‘London Undersound’ album sleeve. 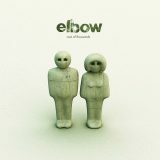 More inspiration from Antony Gormley’s installation ‘Field for the British Isles’ were behind Crane’s characters for Elbow’s Cast of Thousands cover which became known as ‘Elle’ & ‘Bo’. The two 10 feet tall polystyrene figures caused quite a stir when they were originally placed by the side of the M1. 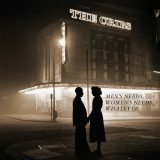 The image of a 1940’s couple outside the Granada cinema was licensed and subtely altered for The Cribs album cover – which won Best Art Vinyl in 2007. Crane’s brief from the band was that they wanted the cover to look like a classic Smith’s record sleeve. Ironically, The Smith’s guitarist, Jonny Marr joined the Cribs three years later for two albums.